The rough and ready shooter is tons of fun, but misses the mark on characters of faith. Caricatures are exaggerations. They tell you more about the artist’s eye than what the subject actually looks like, and Far Cry 5 is no exception. The wilderness-shooter video game series has long been a sort of self-caricature, an unapologetic shoot-em-up that winks and nods at the genre itself, and for its newest iteration, Far Cry turns an eye toward Christian culture—barely. Set in fictional Hope County, Montana, Far Cry 5 leads the player against the quasi-Christian cult of Eden’s Gate, lead by sadistic preacher Joseph Seed. Eden’s Gate quotes the bible and sings Christian-ish hymns. They’re obsessed with sin, public shame and atonement. They baptize their believers, and they don’t take kindly to outsiders. In other words, they’re Far Cry’s take on evangelicals. But from the outset, the ideology behind Eden’s Gate doesn’t feel rooted in any tradition beyond vague notions of sin and survivalism. Joseph Seed is clearly based on the traveling-pastor trope, and his not-so-subtly-named brother John the Baptist takes his cues from sloganeering mega-church pastors. John’s catchphrase—“Power of Yes!”—rings with the same hollow spirituality of a typical self-helpy sermon series from whoever this year’s celebrity hype priest may be. Neither them, nor any other Far Cry 5 antagonist, seems quite able to articulate an agenda, or even a motivation. So what could have been a sharp commentary on the devolution of white evangelical ideology instead feels like a crude pastiche. Far Cry leaves us with something we’ve seen time and time again—fundamentalist villains who seem meant to resonate with real churchgoers, but never quite move beyond cardboard cutouts. That’s not to say Christians are always demonized in Far Cry 5. Gun-toting Gulf War veteran Pastor Jerome Jeffries embodies a kinder take. 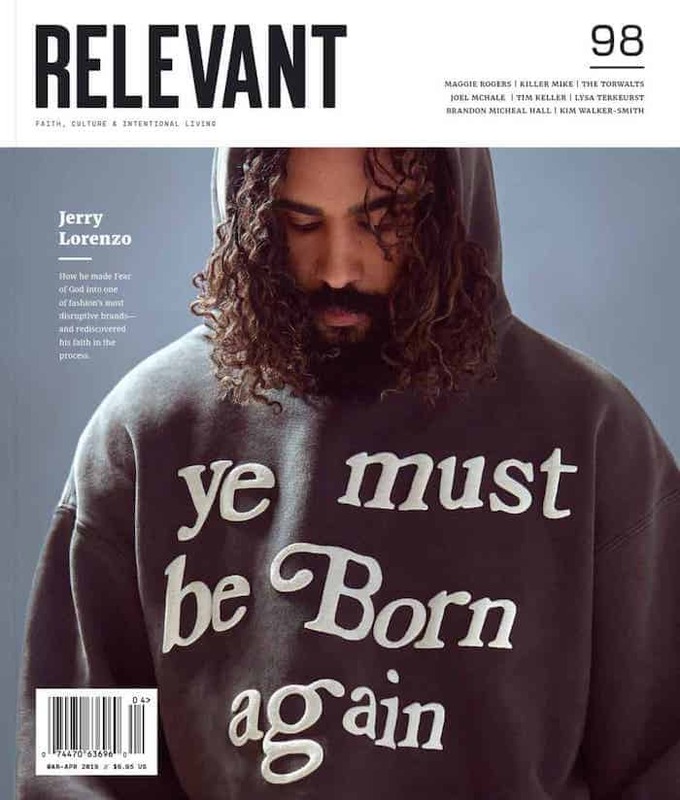 Pastor Jerome, a Roman Catholic priest and Resistance leader, is certainly Flanderized (has there ever been a Christian who speaks exclusively in biblical quotes or allusions? ), but there’s some attention to detail here. Oftentimes, when games and movies quote the Bible, they seem to pick chapters and verses at random, or go with cliched standbys like John 3:16. In Far Cry, Jeremiah 23:16 is posted outside Pastor Jerome’s church. He’s been preaching about false teachers—a prescient choice for the world of this game. It’s a noble sentiment, but you’re not sure if the game makers know it’s an explicitly Christian one. Pastor Jerome’s motivation doesn’t come across as rooted in Jesus’ Sermon on the Mount (Luke 6:32); it just presents more as moral therapeutic deism. Far Cry 5 misses the true, complex essence of Christianity, and in doing so, it misses the opportunity to create a more nuanced portrait of Christians. It swaps what might have been a compelling character—a pastor who wrestles with living by the sword—for an inoffensive, bland ally who doesn’t quite feel like someone who’s spent years in the seminary. It’s clear there’s an intent here to show both the good and evil that religion can generate. The main conflict pits Eden’s Gate’s twisted “penance through pain” philosophy (there are multiple shock-and-awe scenes of carved tattoos and baptisms that become drownings) against a forgiveness-rooted resistance, but the lack of plausible religiosity means the game never really engages with the ideas it flirts with. This isn’t surprising. Far Cry, at its core, is about violence, not Jesus. 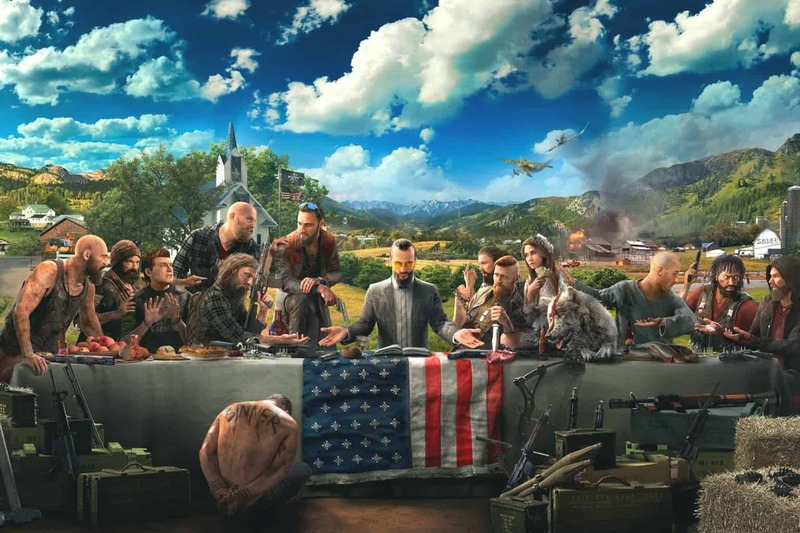 Just like a caricature-drawing boardwalk artist, the creators of Far Cry 5 have done their best to blow up the details of Christianity to cartoonish, larger-than-life proportions. These abstractions might help make the game easier to digest, but they also rob it of its punch. We could have had a game that makes us question what it means to be faithful in a hostile and crazy world, where moral panic and fear drive our brothers and sisters into the jaws of wolves, but Far Cry 5 doesn’t hold those complexities. Fighting with the resistance is a genuine blast, but it doesn’t make you feel like you’re taking the church back from the false prophets. There’s no dilemma in taking down Joseph Seed. There’s a world where Far Cry 5 asks hard questions about which doctrines and values evangelicals will compromise for power, prestige, or pleasure. There’s a world where its Christian characters have to reconcile their violent actions. There’s a world where religious themes in pop culture get treated with more nuance than this, but Far Cry 5 doesn’t go there. If it did, this game could be firing real questions at the faith community. As it is, it’s mostly just shooting blanks.